Baptism is the foundation of our life in Christ. In Baptism, the family of believers celebrates the gift of God's grace, freeing the person from sin, becoming a new creation in Christ and a member of the Body of Christ. We invite all families to bring their child to the waters of Baptism. The following is some basic information regarding Baptism at St. Jude Parish. If you have any questions or require additional information, please contact the Parish Office at 570-474-6315. Communal Celebration of Baptism for one or more families is held following the 11:00 AM Mass (12:15 PM), usually on the third Sunday of the month, except during the Season of Lent. Additionally, if you would like to have your child baptized within the celebration of Mass, please contact the Parish Office to arrange the date and Mass time you would like. This program consists of one 1 1/2 hour session prior to the Baptism. It discusses the Rite of Baptism and the faith development of the entire family. We invite and encourage the godparents to attend this session as well. Preparation sessions are held bi-monthly from 6:30 -8:00 PM in the Parish Center. 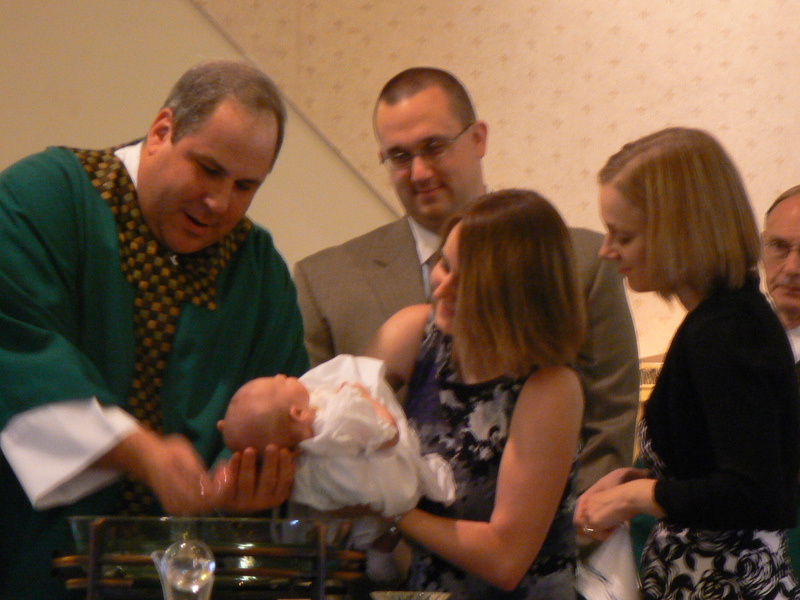 First time parents, those families who have not attended a preparation session here, or if it has been more than 4 years since you have baptized a child at St. Jude are required to participate in our Baptismal Preparation Program. Godparents have a unique and important role that begins with their presence at the Baptismal Celebration and goes far beyond that day. Their role in the child’s life is to continue to provide support for the child and encouragement to the parents. They are entrusted with the responsibility of participating in the child’s Christian life and education. At least one godparents must be a practicing Catholic who is at least 16 years of age and has received the Sacraments of Initiation - Baptism, Eucharist, and Confirmation. If married, is living in conformity with the laws of the Catholic Church regarding marriage. Actively participates in the Catholic faith, including regular Sunday Mass attendance, and reception of the Sacraments of Eucharist and Reconciliation. Sacramental preparation for First Reconciliation (also called Confession or Penance) and First Eucharist normally takes place in the first and second grades for children baptized in the Catholic Faith. Children need to have completed the first grade in a Religious Ed program or Catholic School and be enrolled in the 2nd grade before they can receive these sacraments. Because sacraments are part of our life in faith, parents will accompany their children on the journey by attending special parent sessions. 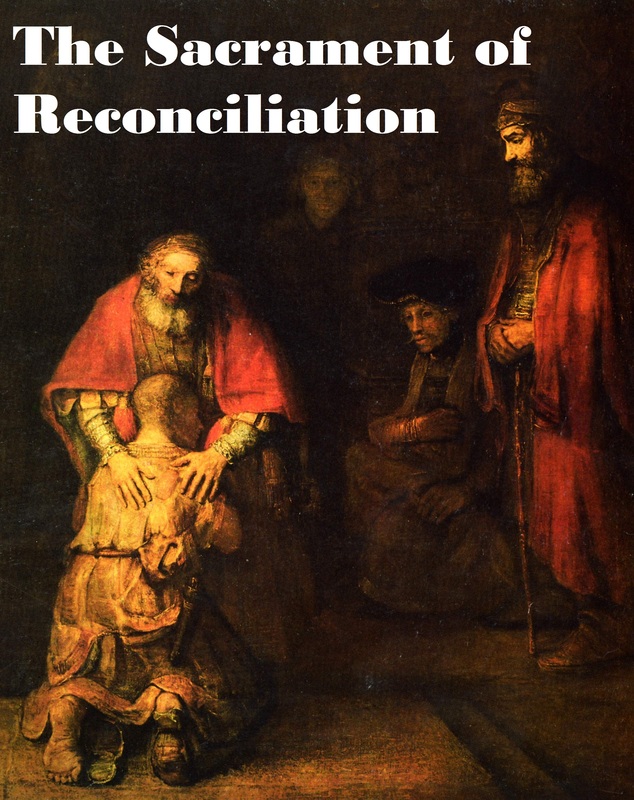 First Reconciliation is celebrated in (December/January). First Eucharist is celebrated in (April/May). Essential for the preparation of First Eucharist is regular worship in Sunday Mass, participation in religious education, and a commitment on the part of the parents to the religious education of their children after the first reception of the Eucharist. Older children (in grades 3 or higher) or children who are not currently enrolled in religious education classes are prepared with instruction appropriate to the needs of the child with the involvement of the parents. If your child has missed some or all grades, there is a place for your child to begin sacramental preparation. Contact the Parish Center for more information regarding your older child. The Sacrament of Confirmation allows young people to advance in their faith, but the Sacrament also impacts their families and the entire community of St. Jude’s. The gifts and the service of the Confirmation students contribute to building up the kingdom of God. At St. Jude Church, the Sacrament of Confirmation is conferred upon students who are in the eighth grade. However, two years of formal preparation either in our religious education program or through St. Jude School is required to receive the sacrament. Students must also be baptized and have received the Sacraments of Reconciliation and Eucharist. Students are asked to attend a mini-retreat in the summer as well as a full day retreat in the fall. They must attend Mass each week and holy days of obligation. They must also attend a religious education program or be enrolled in a Catholic school. Parents are to be involved in helping to prepare their child(ren) for the sacrament and must attend two parent meetings during the year. Arrangements are also made for older children as well as young adults and adults to receive the Sacrament of Confirmation. Please contact the Parish Office for more information. Couples contemplating marriage must contact the parish priest at least six months in advance of the date of the intended marriage. Church date and arrangements should precede all other wedding plans. Please call Fr. Joe Evanko at the Parish Office, (570) 474-6315, to arrange the date and time of your wedding. Outside priests are welcome to officiate at marriages celebrated at St. Jude Church. An Engaged Encounter Weekend or Pre-Cana Conference is mandatory and is available in the area at various times during the year. Please check the Office for Parish Life website for a list of upcoming dates or call the office at (570) 207-2213 for information. The Sacrament of Holy Orders is the continuation of Christ's priesthood, which He bestowed upon His apostles; thus, the Catechism of the Catholic Church refers to the Sacrament of Holy Orders as "the sacrament of apostolic ministry." The Diocese of Scranton Vocations Office can help you answer questions about the priesthood and discern your own vocation.